I live in Conlig in Co.Down, N.Ireland – which is a tiny little place smack bang in the middle of Bangor and Newtownards. Ireland is such a relatively small place and I love traveling wherever my lovely clients lead me and am always excited to receive an enquiry that results in dusting off the old passport. Travel costs up t0 a 100mile round trip in Ireland are included in your package, after that, I can provide you with a little quote. For destination weddings or those that require an overnight stay, there will be costs involved to cover up to 2 nights accommodation and travel outside of Ireland. These costs will be kept to the lowest possible options. 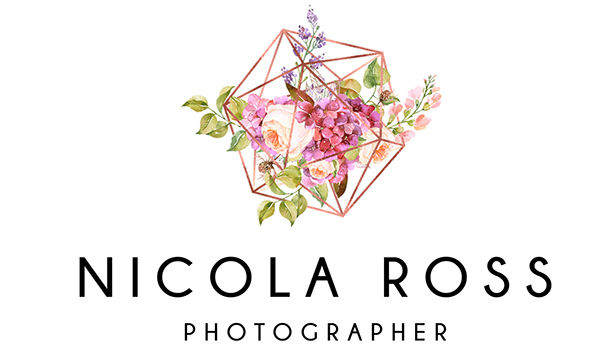 I have been in business since 2010, when I started working for myself under the name of ‘By Nica’, before that, I worked for a portrait studio for 6 years where I gained lots of valuable experience and bagged a handful of international awards for my images. I recently decided to be a little boring and stick with my actual name, hopefully, this is less tricky for you guys when it comes to knowing what to call me! Yes indeed! This is a really important factor, not only in a professional context but is also a requirement with many venues, in order to protect both clients and venues and of course photographers alike in terms of public liability. Yes, I did, photography has been a lifelong love affair for me. I had my poor mum’s head turned since I was a teenager. I first started out working with film at the tender age of 16 years old, when leaving the darkroom like a little mole after an 8hour stint was commonplace in my life. I eventually went on to study a degree in film based Fine Art Photography at Manchester Met. Since then I have moved out of the darkroom and into the light with digital and have continued to learn and grow, attending workshops held by some of the most talented photographers the world has to offer. Yes, I’d love to, let’s grab a coffee in Bangor or Belfast and have a natter. Alternatively, If you live further afield and that’s a pain, we can make a date for a Skype/FaceTime call. If you would like to get a good idea of my style before we meet up please have a scroll through my galleries and a little look at some blogs, you can also check out my Facebook page and Instagram for more recent work. Awesome! You can secure your date in my diary with a deposit. I can provide you with online bank details to make everything super quick and straightforward, just drop me a line and let’s get this ball rolling! From a Wedding day, you will receive a minimum of 500 edited, ready to print images, in a high-quality un-watermarked jpeg format. It’s tricky to put an exact number on it, depending on the length of your coverage there may certainly be more. From a family session, there is a range from 50-100 images depending on the number of people involved and the type of session you are booking me for. When I’m working on your images, I work with the tones and colours in order to provide you with a selection of photographs that fit in with the style of work you will find on this site. For weddings and newborn sessions alongside that, I can spend some time on a small selection of shots to give them a little extra attention if desired. Yes absolutely, you will receive a good combination of both colour and B&W images. Typically it takes 6-8 weeks to receive wedding images, during the summer months when the wedding season is in full flow sometimes it can take a little longer, but I will make every effort to get them to you as fast as I can. In the meantime, you will receive a lovely little selection of images within a week of your big day by email. For family sessions, I will be in touch with you approx. 2 weeks after your shoot with your gallery details. Yes, absolutely, I’d always recommend investing in images that you can actually hold in your hand rather than those that will simply remain on your hard drive. We can collaboratively design a beautiful album for you to enjoy for many generations to come. I use a fine art supplier who produces albums of the highest quality and standards, offering a variety of cover options and beautifully handcrafted finishes. Please send me through an email ~ hello@nicolaross.co.uk ~ if you would like to enquire about sizes and costs. I’m always delighted to have images shared online. Technically the copyright stays with the photographer, but this won’t cause any issues for personal use and sharing with friends and family. If another vendor from your wedding or a wedding magazine or blog would like to use some of the images please refer them to me and we can have a chat.